Existing energy assets are the required building blocks to a new energy paradigm I envision, not extra pieces of a puzzle to be discarded because I don’t like this part of the picture. They are important arrows in an archer’s quiver, however they are no longer the only type of arrow that can achieve the end goal. Each arrow currently available, has a specific purpose and has been meticulously crafted to meet unique circumstances that may be encountered during a hunt to ultimately ensure success and efficiency. South Africa cannot shutter its coal fleet under endemic, long lasting electric generation deficiency. In the not too distant past, they were able to mothball old generation resources, instead of decommissioning them, but those too have been re-fired as demand exceeded capacity building and new builds failed to hit projected scheduling targets. Managing negative electric capacity is putting significant strain on existing infrastructure, degrading it rapidly. It goes with out saying, mandatory load shedding is reeking havoc on all economic sectors, and social tensions have reached breaking points as a result. Is infrastructure expansion, notably building 765kV transmission lines across the breathe of the country, truly expansion? Or is it in reality only maintaining current capacity in a disjointed system concentrating supply far distant from demand? Transmission for the sake of transmission? 1500 km, Medupi & Matimba to Capetown through the Free State. 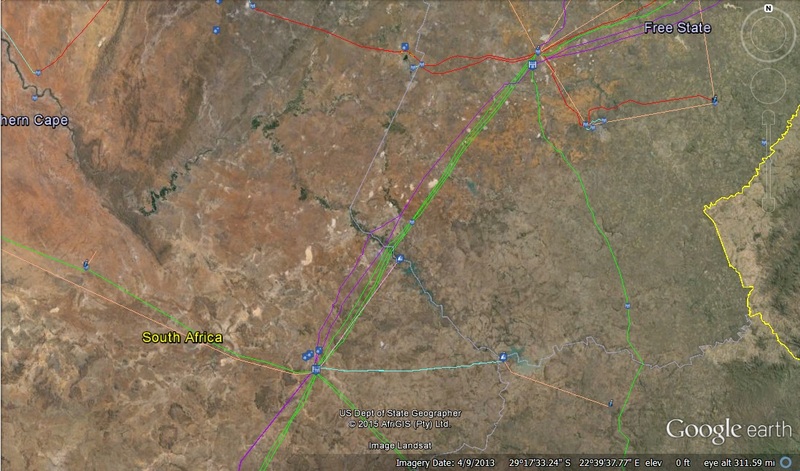 Northern Cape PV & CSP development will likely congest the system. Red – 275kV, Green – 400kV and Purple – 765kV. New solar photovoltaic (PV) farms and concentrating solar power (CSP) plants are primarily following this trend. Perfect resource conditions, no different than citing generation plants at the coal fields, are trumped over lack of existing infrastructure or that primary load centers are hundreds of kilometers away. I wholeheartedly believe in distributed generation, especially in the single megawatt (MW) scale and larger, but balancing the trade-offs of optimal and slightly less than optimal conditions should not be tossed to the wayside either. The 10 Gigawatt (GW) combined new capacity builds at Medupi and Kusile coal plants can be set aside under this discussion, under a “What was done, was already done” argument. Hopefully, all interested parties are learning from mistakes, oversights and a simple recognition that few proven generation options existed when they were added to the capacity building pipeline. For the sake of argument and progress, I concede these plants were the best decisions given the circumstance and energy realities at their inception. However, new build coal plants in South Africa, initiated today, in these rapidly evolving energy dynamics? What about rekindling the fires in old, mid 20th Century technology coal plants that were mothballed due to declining plant efficiency when generation capacity was positive? The latter could be argued, as many smarter than me rightly point out, as an assistance to the domestic coal industry. Subsidizing it even, as part of a well-intended mechanism to strengthen domestic interests and regional economic security. There is little doubt, the local company towns suffered once mothballing operations were completed. However, new build is not the displacement of lost generation capacity under the natural progression of replacing coal plants beyond their anticipated and often extended lifespan. The latest evolution of coal generation adjusts course slightly, away from mega projects failing under their own mass and gravity, towards smaller scale, reduced capacity “solutions in a box”. The construction of the second is not dependent upon the completion of the first. Arguably, they may compliment existing inefficiencies at substations and in transmission corridors instead of requiring an entirely new lattice of infrastructure construction. But, this streamlined redirection for capacity building, is in addition to existing and refurbished plants. And not to add salt to fresh wounds, the two ‘answer to all our problems” panacea projects of Medupi and Kusile are simply too far along to scrap. It is potentially understandable in Mozambique, Botswana, Zimbabwe, etc., but South Africa itself, once the dominant political and financial powerhouse on the continent. South Africa satisfied their domestic electricity demands and had sufficient capacity to export as well. True, they “exploited” outside generation resources such as at Kariba, but that power agreement was initiated in the 1970s and effectively was not fulfilled during the civil war in Mozambique. As a result, the new government, post civil war reconciliation, was required to compensate both Portugal and South Africa as a result, further exacerbating the war decimated economy. Today, Maputo remains dependent upon a long term agreement between the two countries to supply generation capacity, route electricity through South Africa and maintain associated infrastructure to the domestically unconnected southern region, industrial zone and the capital itself. Chasing a Model of the Past, Unaware Perfection of Yesterday is Not Perfection into the Future? South Africa is not Germany, nor would I unfairly criticize South Africa, by attempting to place them on the same pedestal, few if any advanced nations could rival. However, Germany is an important bellwether and beacon to the new global energy dynamics, not only based on their successes, but also hindsight recognition frequently comes on the backs of financial hardships. 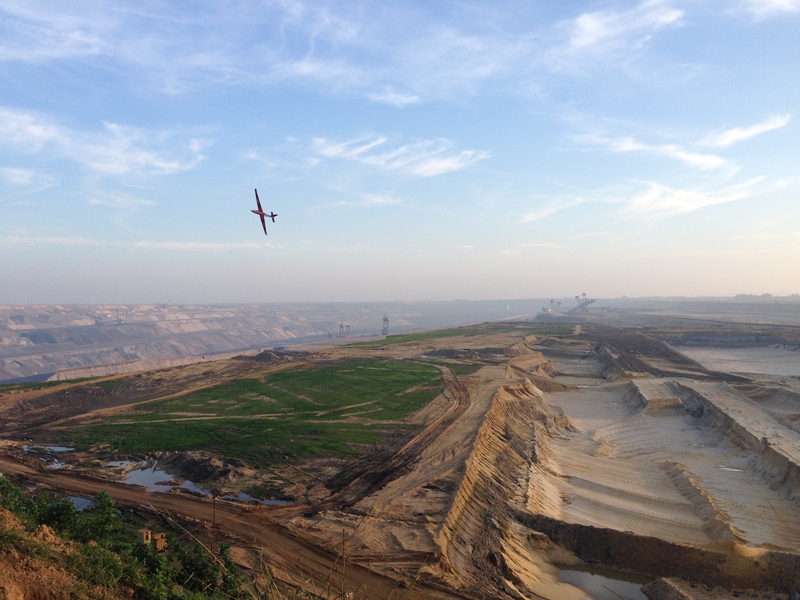 Germany has increased coal coal use as of lately, however two key points need to be recognized within the context of current discussions in South Africa. 1) They, arguably for political, not technological reasons, shuttered nuclear over night. Was there a longer term plan to phase out nuclear? There was… The tragedy at Fukushima Daiichi resulted in a dramatic shift within the societal acceptance of nuclear generation. The gravity of a single, acute event, forced a significant departure from a more reasoned, long term policy implementation. The increased financial hardship, a reactionary necessity to burn domestically available brown coal. Garzweiler I open pit coal in Juchen, Germany (my mother’s birthplace). Around the perimeter, wind turbines exemplify how no one single generation technology can meet a region’s energy needs. 2) Their existing coal fleet was completely overhauled, built new 10 years ago, on a one for one replacement policy. At that point, renewable energy; for example, wind and solar, had not yet proven themselves. The arguments against PV and wind today, no longer hold the same economic and technological merits they once did. Not much different than that of Medupi or Kusile in South Africa. Shutting down [cheap] coal, is an economic hardship on any national economy which has achieved high levels of domestic energy security. Doing so, especially only a few years after a new build comes on line, shatters anticipated ROI calculations. But, as an argument for staying the course on old understandings, legacy dominance and “once was” best practices? Any new build long-term Power Purchase Agreement (PPA), Public Private Partnership (PPP) or parastatal guarantee contract signing for coal generation at this ‘new energy reality’ point in time is financial suicide for any developed country’s economy. Doing so, consciously deciding to lock a national economy into these agreements, is an strong indicator historical knowledge gained through success, failure and value of critical hindsight analysis was ignored. Following suit with nuclear, as South Africa has opted to do, I would offer a higher degree of leniency towards long-term consideration. Although, I cannot rule out nuclear’s position within the future energy economy in light of its low carbon generation benefits, I likewise cannot excuse the industry and commercial reactor fleet housing governments that have arguably ‘kicked the can down the road’ from the beginning on responsible nuclear waste management. “Too cheap to meter” has long been the industry’s selling points, while the increasingly puppet regulatory bodies enacted enough loopholes to ensure radioactive waste management was a problem future generations would need to solve. However, the recent Russian build-supply agreement was conducted veiled from transparency, even from a South African perspective, and as a significant reversal to recent South African national energy planning which accepted the public will not supporting new nuclear capacity. Similar rumblings are happening in Nigeria, a nation rich with natural gas development, but has been unable to capitalize on its resources due to domestic infrastructure insecurities exceeded by few other nations in the world. How a nuclear generation plant could be secured in recognition of this endemic reality is beyond me, knowing the affords taken to protect oil infrastructure are anything but fail safe. These two concrete examples, speak with much more authority than I could possibly offer as a distant observer, or as one focused on advancing energy security within the SADC region as critical backbone to economic growth. Mozambique and Botswana, let us be honest, their domestic economies are small even as measured against South Africa. Their infrastructure and generation capacity fails to exceed double digit percentages in comparison to South Africa. South Africa’s generation capacity and transmission is far from trivial, unlike global analysis reports claiming Southern Africa is woefully deficient in grid infrastructure. I know this is not the case, having mapped over 40,000 KM of high voltage transmission lines, driven by a internal need to verify the accuracy of these reports. Redundancy, and further redundancy of lines was the conclusion I arrived upon. Hard infrastructure bore less responsibility, than concentrating new generation far from growing loads, and arguably due to un-intelligent management of the system. As the United States electric systems struggle to avoid the “Utility Death Spiral”, parallel transmission circuits to capitalize on Smart Grid technology is a major physical and financial barrier, yet the South Africa development moves to add third and forth parallel circuits at increasing voltage capacity. SAPP seeks to do similar, regardless widespread insufficient electron capacity within the member states to wheel around as though any has electricity to spare. Regardless the endemic load shedding and race to construct even more transmission redundancies, South Africa is leaps and bounds further along than these short-sighted decisions to double down on coal would lead all to believe. Mozambique, on the other hand, has natural gas resources being developed, not only for sea-based export, but also largely for pipeline export to South Africa under gas to liquid fuel schemes, not single or combined cycle gas turbine (SCGT/CCGT) electric generation schemes. A smaller glimmer of hope for increased domestic utilization is the new 107.5 MW natural gas turbines along the border of the two countries and adjacent to Pande gas field pipeline, however ESKOM reserves the lion’s share of the capacity and EDM significantly less. Replacement of expensive and 20th Century dirty technology, diesel or oil fired electricity generation with natural gas SCGT/CCGT, from regionally available exploration and development (E&P) along both coasts of the continent, remains a critical element within any model of future energy generation mix I envision. Even with pipeline infrastructure build remaining costly, and physically asset security remaining tenuous at best on the continent, all indicators point to long-term downward pressures on the global liquified natural gas (LNG) market. Indonesia’s efforts at supplying natural gas needs to its earthquake prone “island states”. 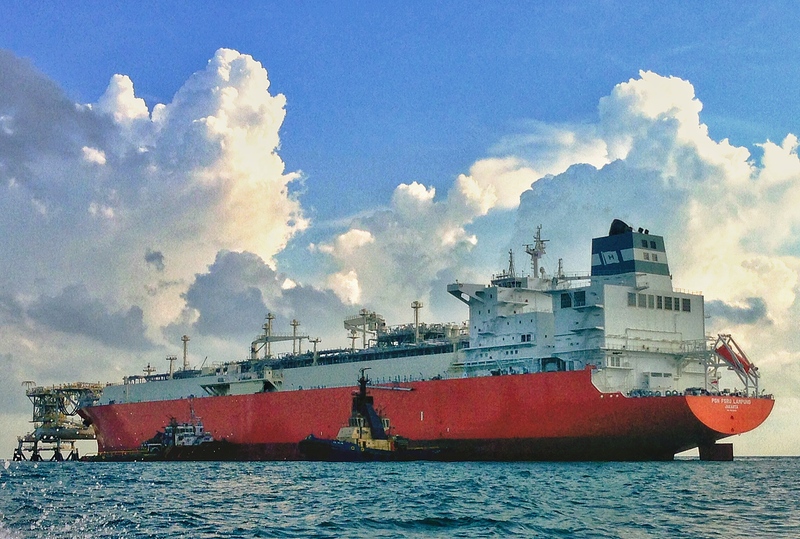 The north end of Sumatra has long supplied NG to the world, this FSRU is at the south end of the island, nearing operational status in May of 2014. South Africa in particular, SADC nations as a whole, stand to gain as both suppliers and consumers. The barriers to realizing this potential more governmental and societal than the physical scarcity of natural resources and their accessibility. I cannot help but return to an informed recognition and strong desire to believe otherwise, that much of Africa’s economic woes lie within the “Colonial Hangover” that is prevalent. Overt Western colonialism and nation state independence did not arrive yesterday, or 10 years ago even. Liberation and national self-determination started over 40 years ago. Shy a few vestiges of authoritarian dictatorships and military rule, the vast majority sub Saharan nations transitioned to fledgling democracies by the turn of the century. The struggles and difficulties to advance beyond outside intervention, I would be amiss to think I am in any position to cast stones, knowing full well I am a product of living in a glass house well known and openly criticized by the near entirety of the global community for doing just that, “throwing stones”. But long before my interest turned towards Africa, life and family planted South America firmly within my cross-hairs. Too many parallels, both the struggles and to a lesser extent, successes, exist between South America and Africa. South American countries arguably bore down and fought ‘tooth and nail’ without returning time and again to the entirely self-centered empowerment device of ‘bullet and gun’. In contrast to a divide and conquer approach, South American struggles focused on organizing all those marginalized and uniting to force their oppressors and puppet governments out of power. Simplistic analysis, bordering on privileged self-righteousness? Maybe. Although I truly would like to believe I have checked the latter at the door. But to what economic or domestic benefit has artificially maintaining the ‘Colonial Hangover’, long after the headache subsided and the mental haze has cleared, provided? Are there notable differences between what China is currently doing in the continental interior, welcomed with open arms for the capital they bring, to that which is occurring on the coasts in Nigeria, Angola or Mozambique where western influences maintain precarious footholds before being pushed into the sea? The realities are, the benefits to the majority of the African people themselves are far below that which the “Africa Rising” movement promises to offer, yet from the outside appears to take three steps back for everyone one step forward. Old mindsets and preconceptions, held by both the West and Africans themselves, need to stop using past history as a crutch long after the broken legs have healed. Too many technological advancements within the energy sector exist today to pass up. The same is true within the potential waiting to be unlocked in Big Data, Internet accessibility and intelligence amplification (IA) of all that we now know. Passing up global innovation resources and knowledge over past ‘bad blood’ and grievances of the mind truly needs to end to capitalize on a new energy paradigm ready to be deployed. To these ends, I could continue to be a “one man army”, attempting to spread objective criticism of the advantages and the pitfalls to energy infrastructures that brought economic success to The West. But, this is a fruitless endeavor orchestrating it alone, and I am not motivated to build my own despotic empire to realize not some ‘pie in the sky’ vision, but rather an achievable possibility where all can stand to benefit.